Peruvian food is hot right now, and part of that heat comes from aji amarillo, a sunset-colored chile pepper believed to be the backbone of the cuisine. 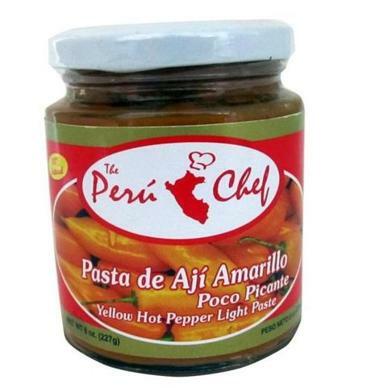 Aji amarillo is indigenous to the Andean country and its neighbors. The chile’s fruity perfume and assertive but not overbearing bite, along with its golden hue, give many Peruvian dishes their signature flavors and tints. Because the chile is nearly impossible to find in the United States, many expats rely on imported aji amarillo paste ($2.49 to $6.95 for an 8-ounce jar) to re-create a taste of home. Various brands are in markets, but look for jars containing smooth, bright yellow to orange paste. Add a spoonful to soups or pasta sauces, or blend it with cream cheese or mayonnaise to enliven a spread. Available at Frio Rico, 360 Bennington St. R, East Boston, 617-569-1505; Formaggio Kitchen, 244 Huron Ave., Cambridge, 617-354-4750; Formaggio Kitchen South End, 268 Shawmut Ave., Boston, 617-350-6996; Tropical Foods, 2101 Washington St., Roxbury, 617-442-7439, or go to www.amigofoods.com. 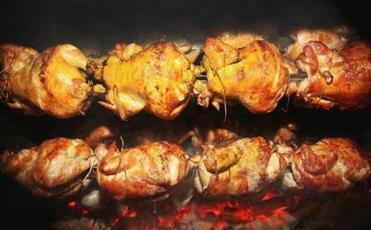 Pollo a la brasa is a meal eaten almost exclusively in restaurants in Peru and in Boston, where four eateries now offer it.